This is it! Come check out this beautiful, completely finished and spacious rambler. This home boasts LOW specials, 4 bedroom, 3bath and 3 stall finished heated garage. It has so many awesome amenities. 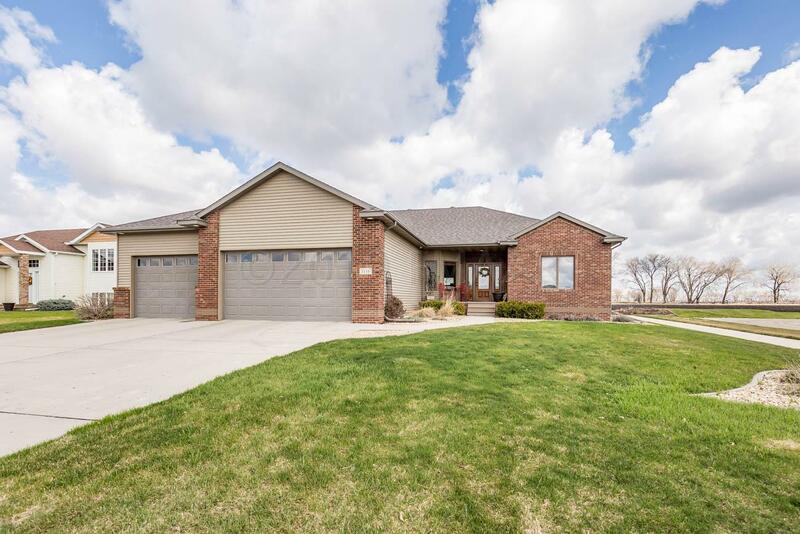 Metal siding, Anderson windows, Granite counter tops in kitchen, sun room, gas fire place and range, electric oven, master bath with jetted tub, tiled shower, patio, sprinkler system, Hot tub, sauna, wet bar and the list goes on. Line up a showing today. You do not want to miss this one.